The Calchaquí Valleys are one of the most breathtaking spots in Argentina. Really. The South American country is famous for its crystal lakes, rugged mountains, powerful waterfalls, and vast glaciers. But it’s this colorful landscape—full of red canyons, snow-flecked mountains, and green vineyards—that truly stops you in your tracks. 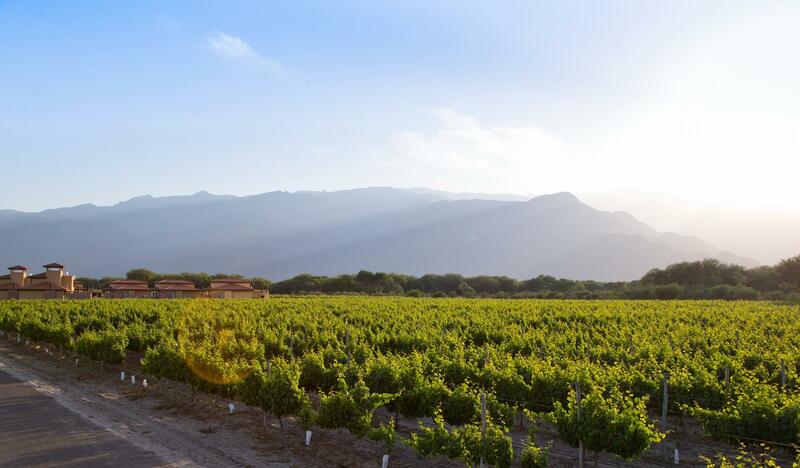 The Tuscany of Argentina spreads across four provinces and more than 300 miles in the northwest corner of the country. It extends to the borders of Chile, Bolivia, and Paraguay. It’s hundreds of miles and not an easy trip from any major city. The scenery, the colonial cities, and the wine keep drawing you back, though. Cafayate couldn’t be more picturesque. Plaza 20 de Febrero is the central plaza. It’s surrounded by the Our Lady of Rosary Cathedral, restaurants serving empanadas and tamales, stalls selling wine-flavored ice cream, a wine museum, and usually a few grazing donkeys. The streets are only paved for a couple of blocks. They quickly become dusty with yellow sand. Old rock walls and cacti line both sides. They lead to a few goat farms, 22 wineries, and too many rock formations to count. La Estancia de Cafayate also lies on the outskirts of town. The nearly 1,400-acre property features a golf course, an equestrian estate, a lake, and private houses. It’s surrounded by Malbec and Torrontés vineyards. The Andes tower in the background. While, most importantly, it’s home to a boutique hotel. Grace Cafayate is sleek and striking. The hotel looks like a modern ranch. A dramatic waterfall tumbles over stones in front of the terracotta-colored main building. The gourmet restaurant, Muse, serves local ingredients from its open kitchen. All of Argentina’s best wines are available in the wine bar. Grape-based treatments will lure you into the spa. Plus wood-burning fireplaces are lit right before the evening chill arrives. You fall in love with the hotel before you even see your room. The rooms are perfectly designed, too, of course. 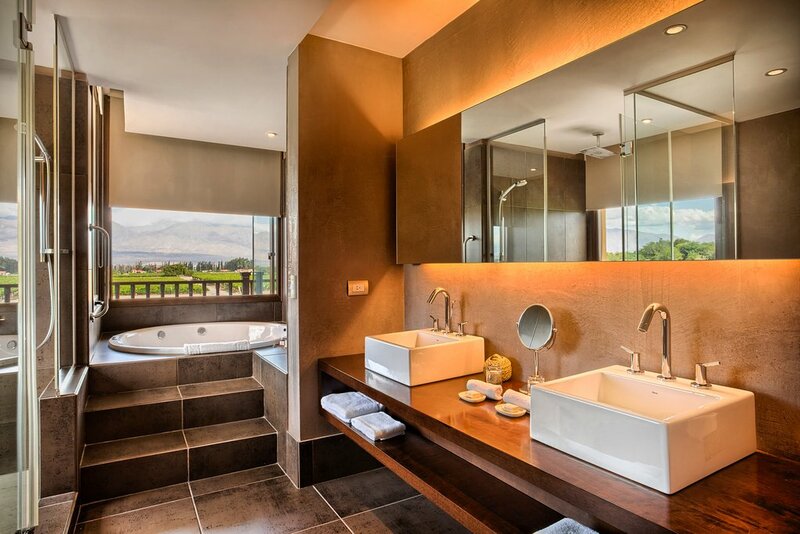 There are 12 suites in the main building and 20 freestanding villas, which are perfect for families. Your suite features a polished wood floor, a king-size bed, and another stone fireplace. The terrace has mountain and vineyard views. So does the jacuzzi tub in the bathroom. Now all you need is a glass, no make that a bottle, of aromatic Torrontés wine to go with that view. The colors outside will start changing as soon as the sun begins to dip.